Consuming anything in smaller quantities is easier… Even the latest “it” diet plan focuses on six small meals eaten at regular intervals than over eating three large meals. eLearning is experiencing a similar shift where long and heavy modules are being replaced by shorter bite-sized chunks. Given that we have entered the mobile age and have a large mobile workforce, microlearning emerges as the perfect solution to provide continuous learning and knowledge to meet an extended learning goal. Microlearning disseminates discrete chunks of digestible skill-based knowledge which are delivered in short bursts of time. The microlearning solution enables learners to be nimble in their approach towards training and learning and development without compromising on their working duties. Microlearning breaks down the traditional long training or learning curriculum into easily consumable pieces of information by breaking it up. It takes a course or a module and deconstructs it to form building blocks of information that can be personalized according to the needs of the learner. With microlearning learners can set their own goals, learn at their own pace, and access the information from the device of their choice. This flexibility to learn on the go, anytime and anywhere, leads to greater absorption of the learning materials and hence consequently provides better outcomes. The Ambient Insight 2013 report suggests that the global mobile learning market will touch $12.2 billion by 2017. With increasing smartphone adoption and growth of mobile learning, the need for microlearning is only increasing, as lessons delivered on the mobile have to be concise for better learner experiences. 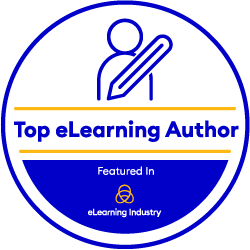 Since we are entering the age of personalization, microlearning also gives Instructional Designers the flexibility to design more personalized courses. It also gives the learners the flexibility to only access parts of the content that is relevant to them and skip the ones they do not require. In a business environment, personalized microlearning enables “continuous learning”, that helps in upgrading and closing the skills gap and achieving the learning and development goals of the organization. Along with this, another great contributor to the rise of microlearning is the growing millennial workforce. This generation is extremely comfortable using technology and is more inclined to use resources that make life easier and more convenient. Research suggests that though the millennial generation is advanced in its use of technology, they are limited by short attention spans. For them consuming long and exhaustive training material is not only difficult, but also less likely to weld positive learning outcomes. Hence, microlearning which uses multimedia elements such as gamification, game-based learning, videos, audio elements, etc. to present precise, short, and consumable content is more likely to bear positive learning results. In microlearning the learning objectives are more defined. The learner has to focus on that “one” highlighted objective of the module to ensure that the knowledge is transferred. Microlearning content thus has to have strong scripting assets, is to the point, and is content rich. Microlearning content does not focus on the fluff which, externally, makes a piece of content “look” good. Additionally, training and development teams are under the constant pressure to roll out job aids and online courses faster and more economically. Microlearning enables Learning and Development professionals to develop shorter, yet relevant courses faster and in a cost-effective manner, and delivers a greater return on investment. This effectiveness and the variety of the training experiences increase learner engagement. The microlearning solution is also becoming increasingly popular because of technological developments that are enabling mixed format experiences which are optimized by data. Lessons that earlier were of a 15-minute duration can be easily broken down into smaller segments using a combination of formats such as video, interactions, assessments, and study guides, all of which are not longer than three minutes each. Considering almost 60% of the employees use online courses to learn what they require for their jobs, microlearning is well suited for distributed practice and spaced repetition and an effective way to turn smartphones into textbooks. It helps you create eLearning programs that are as compelling for the employee as they are for an individual outside the workplace. So whether it is to understand configuration management, learn about Scrum on a page, end-to-end processes, polices or products, the microlearning solution enables the just-in-time learning that leaners demand in a professional training program and allows them to implement their learning experience in their daily work.